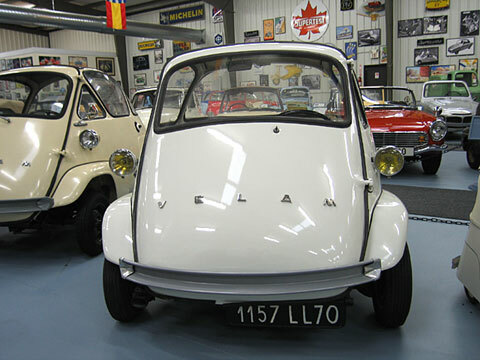 Built under license from ISO in a part of the Talbot sports car factory, it varied from the original in 34 items. The frame was changed to only subframes, rubber band suspension, better shifter, steering, motor access from inside, tail shape, high lamps, bumpers and separate front fenders were among the major changes, but the motor remained ISO's. The body and interior design was beautifully executed with French style, flair and attention to detail. 500 re-styled luxury versions called "Ecrin" (Jewel Box) were built. Those versions are very rare. M. Budin closed shop in early 1958 for financial reasons. Weight: 6.75 cwt Electrics: 6 v 4 Wheels: 4.40 x 11"